For the girl who loves a bit of glitz and glamour! 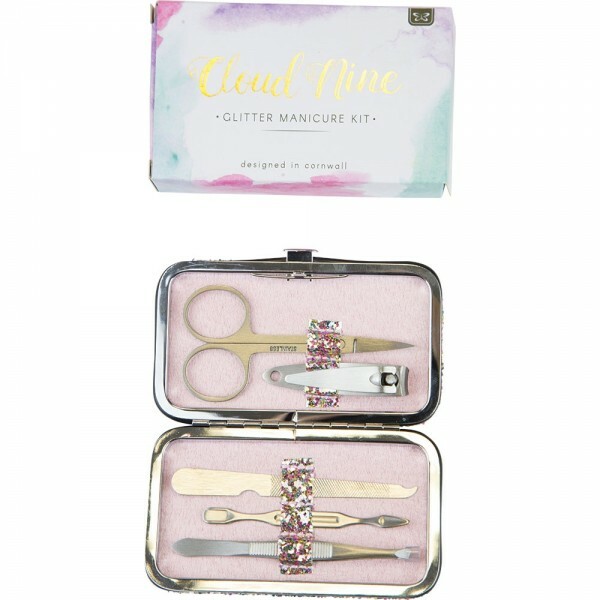 This glittery little case with clasp fastening contains all the manicure essentials: tweezers, cuticle pusher and nail cleaner, nail file, clippers and scissors. Just the right size to pop into a handbag or travel bag.